WELCOME HOME, ELEANOR! 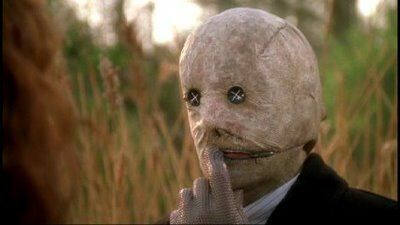 Never seen Nightbreed.....but it looks creepy! I went to see Dr. Decker being interviewed at the New Yorker Festival a couple weeks ago. He was hiding behind his David Cronenberg mask, but I still knew who he was. Dr. Decker scared the shite outta' me as a kid.